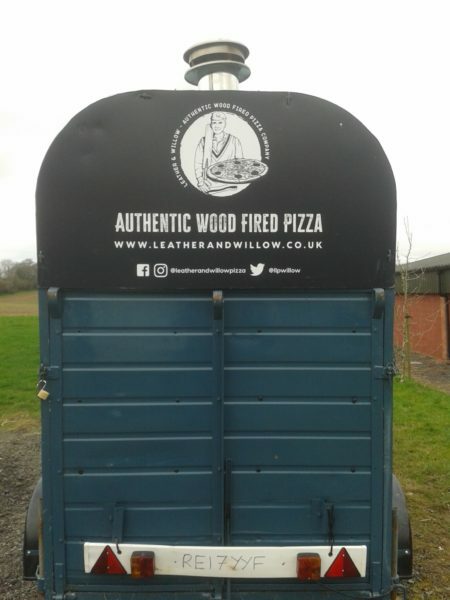 In early 2019 we were approached by Shane Brewer, a young man on a mission to bring authentic wood-fired pizza to the wilds of north Hampshire with his new mobile business, ‘Leather and Willow’. 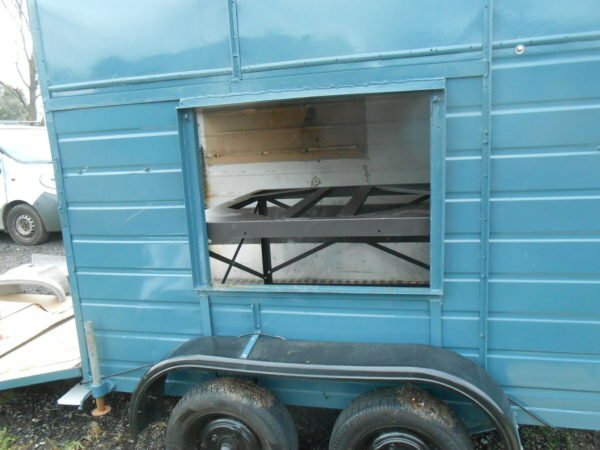 He had bought an old horse box with an existing steel oven that was no longer fit for purpose: small, heavy, cobbled together flue system, poorly insulated and took ages to heat up. ( We unfortunately see a lot of these!). 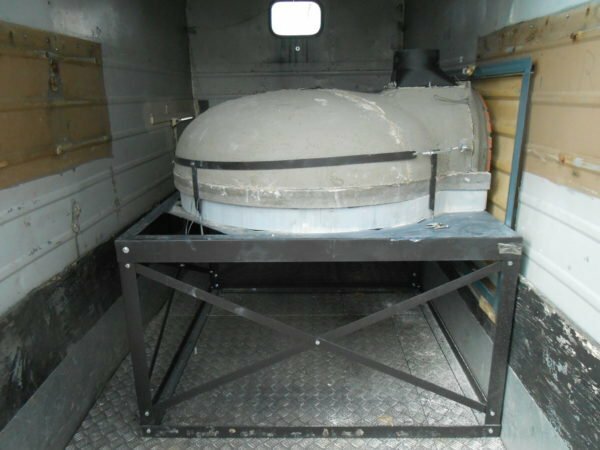 He knew he could find a better oven and having chatted about his project at length, I suggested he went for our Four Grand-Mere F1030CC+ ‘Grand Flamme‘ pizza oven because of its commercial size, lightweight construction and fast heat up time. This oven is also available without its strap system for fixed installations like pub gardens and tap rooms. Fortunately for us, Shane had his horse box pizza oven parked up at a farm near Dummer, Basingstoke so we enlisted the farmer to bring his tele-handler round to pull the old oven out to make way for the new steel table that needed bolting down to the floor. Once in place, we set about installing the new oven with its unique strap and tension system that keeps it stable when being towed around bumpy roads and fields. 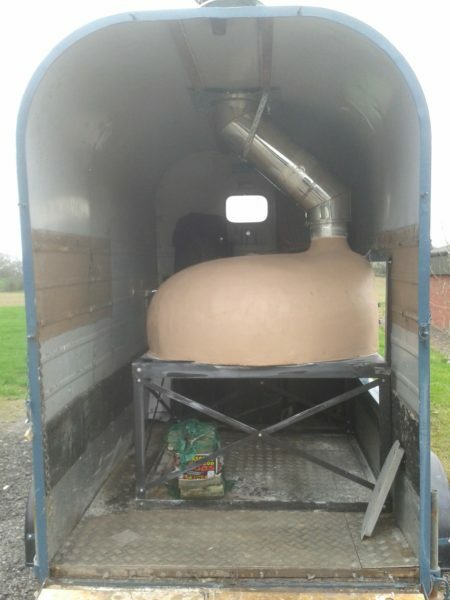 With its updated new 200mm twin wall flue system and simple plaster render, the new oven really looks the part and is working hard at the events Shane has booked up. See his Facebook page here. 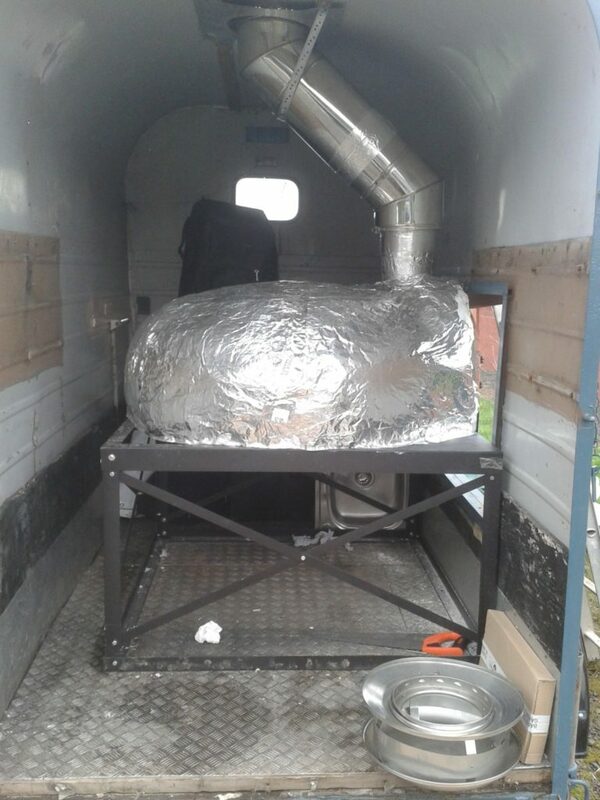 Shane is one of a growing band of mobile caterers using the 1030CC+ oven and is one of our most popular for all types of mobile catering set ups because of its lightweight construction, fast heat up time and high output. 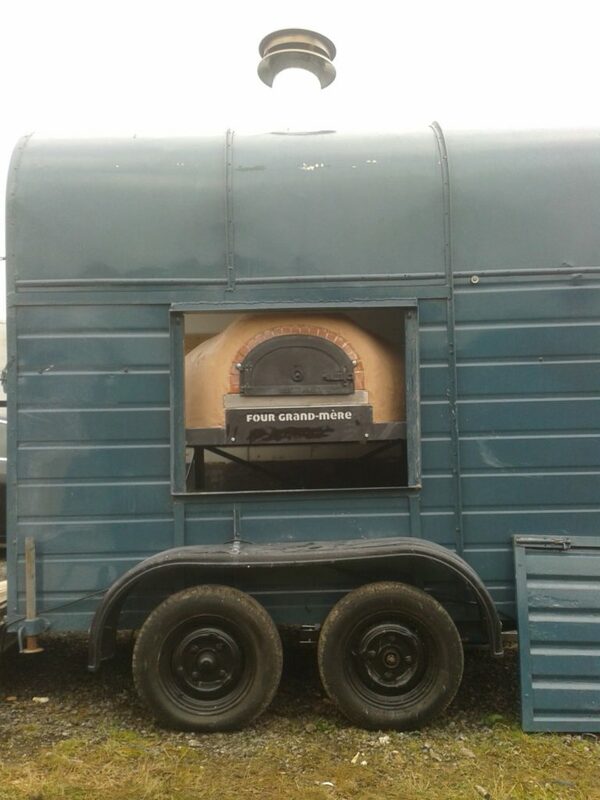 One of the mobile caterers we know is achieving 150 pizzas per hour working flat out and baking 3 or 4 at a time, incredible!